A journal decided to correct, rather than retract, a paper that contained “potentially contentious advice.” Do you agree with their call? In March, a journal published a paper about blood sugar levels in newborns that caused an immediate outcry from outside experts, who were concerned it contained a sentence that could be potentially harmful if misinterpreted by doctors. Recently, the journal explained — in impressive detail — why it’s not retracting the paper. That, of course, gives readers the ability to form their own opinions. After seeing the pros and cons, let us know if you think the journal made the right call in a poll at the bottom of the story. In order to potentially prevent low glucose concentrations at the time of the nadir, exogenous glucose should be provided to all newborns as soon as possible after birth. 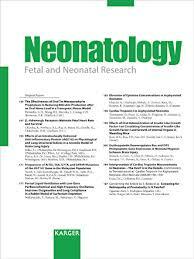 These authors were very concerned that the statement about all newborn infants might be erroneously interpreted by some readers to imply that intravenous dextrose infusion or formula milk are required even for normal term and late preterm infants. They called for a retraction and correction of the concluding abstract statement and asked for the journal to respond to explain how this incorrect statement was allowed to appear in print. The authors of the paper agreed, and asked to retract the sentence, and amend the last sentence of the paper, to make it clear their advice applied to very preterm newborns. Retractions are generally reserved for cases of fraud (such as data falsification, serious cases of redundancy, or plagiarism), legal infringements, or the publication of inaccurate data that present a serious health risk. In this case we believe that rather than retracting two sentences in the paper, an Erratum published alongside the two Letters to the Editor and this Editorial Note would be more appropriate. In the erratum, the authors “recant” the final sentence of the abstract — making it more like a partial retraction. The critics’ letter, now published, explains why they believe the original sentence is “factually incorrect, misleading, and potentially harmful.” In the authors’ response, they note that they agree with the critics’ comments. What do you think about the journal’s decision? Tell us in our poll, below. Why does the abstract not give the concentration of glucose at nadir? Nadir is not a synonym for hypoglycemia. Paywalled paper, but first snippet of Introduction refers to a 1972 paper to justify the danger, but transposes glucose concentration nadir with diagnosed hypoglycemia in 1972, including many so bad they had seizures. If not poor science, certainly poorly expressed. No sign of the retracted sentence yet, but a seriously weird waving skeleton appears on the right of the screen. What’s up Karger? Previous Previous post: He was once a prominent cancer researcher. Then his gambling — and a finding of scientific misconduct — got in the way. Next Next post: Weekend reads: Bragging about burying bad science; women still underrepresented in Nature; does brilliance justify bad behavior?